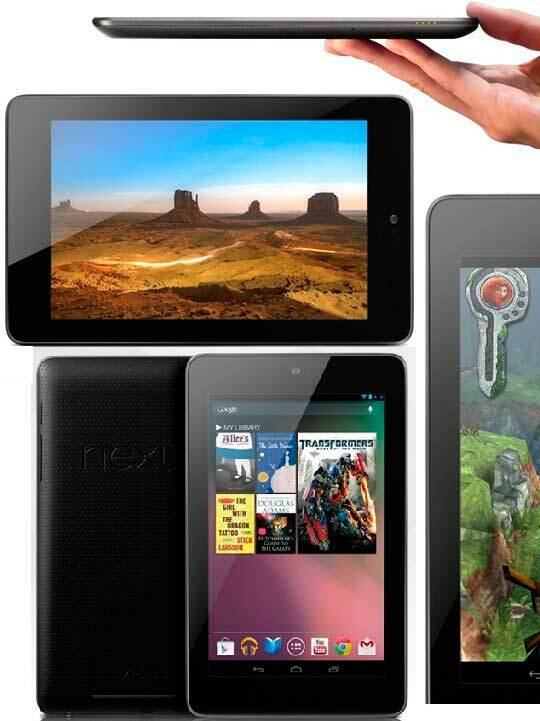 After a long delay Google Nexus 7 tablet is now available in Bangladesh through many importers. Least they are asking around 25,000 taka ($305) for the 8GB tab. Price of 16GB version is around 30,000 taka ($370). Like other Nexus-branded devices, the Nexus 7 tablet isn't actually hardware manufactured by Google, it’s made by Asus. The hottest selling point of Nexus tab is its price. It’s the cheapest tab in quad-core category with the latest Android 4.1 Jelly Bean OS. Powered by a quad-core Tegra 3 processor with 1GB RAM and either 8GB or 16GB of onboard storage, you have all the power needed inside to do anything. The 7-inch 1200 x 800 HD backlit IPS display packs a respectable 216 pixels per inch onto the screen. There is no hard button in Google Nexus 7. A 1.2MP front-facing camera rests at the top of the tablet, which is covered entirely by Corning glass. At the bottom of the unit is a micro-USB port, 3.5mm headphone jack and a thin speaker port. But there are two serious problems with Google Nexus tab. There is no rear camera and it has no GSM/CDMA communication capability. Which means Wi-Fi is the only source of information. So keep in your mind.